Art stimulates and develops the imagination and critical thinking, and refines cognitive and creative skills. Art also teaches children life skills such as developing an informed perception and articulating a vision. Take a look at some of our student's chef d'oeuvres!! We currently rent two neighboring buildings to accommodate our kindergarten and primary school. Our plan for a new building envisions 20 classrooms, administrative space and community meeting space. 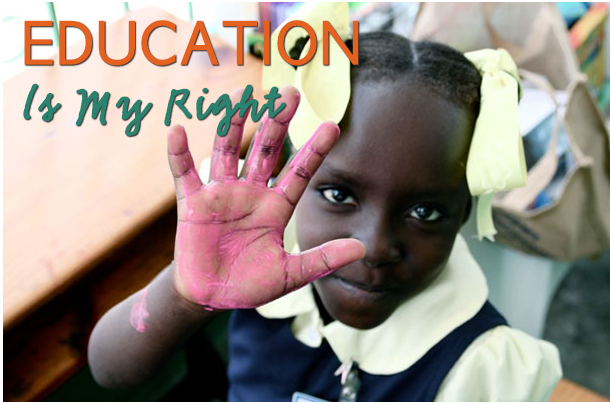 Edeyo aims to provide a first-rate, adequately resourced education to our students. Sponsorship develops a special bond between you and the child you support. The goal of the Edeyo Smile program is to ensure that our kids have healthy teeth. To change the lives of our students we also have to help the community within which they live, thrive and become sustainable..
Organize a fundraiser for Edeyo or become a sponsor. Edeyo always welcome volunteers in New York and in Haiti. Become an advocate and spread the news about Edeyo's quest for durable solutions in Haiti.